By the time May rolls around, the temperature is usually close to 90 degrees in Houston. But this year, it’s been unseasonably cool. Unfortunately, we had to endure heavy rains and catastrophic flooding in order to receive the cooler weather. Thankfully, the worst of the rainy weather is behind us, and I plan to enjoy these cool temps while they last. One benefit of the cooler weather is that I get to wear clothes that would have otherwise gone into storage. While I have the chance, I’d like to share a couple of date night outfits from Banana Republic that you can wear before the temperatures start to rise. The first look makes it easy to transition from work to evening. I work from home, but I often have face-to-face meetings with clients. For those meetings, I like to wear a suit and tie or a blazer, khakis, and tie if the client is more laid-back. Although I have plenty of bright, colorful ties, I usually wear something more subdued for work appointments. The Banana Republic Diagonal Stripe Tie works well for business meetings because it is subtle, yet stylish. Measuring 2-3/8″ at widest point, it’s the perfect width for most occasions including a date with my wife. After work, my wife and I may meet for a quick bite to eat or for coffee at a local cafe. 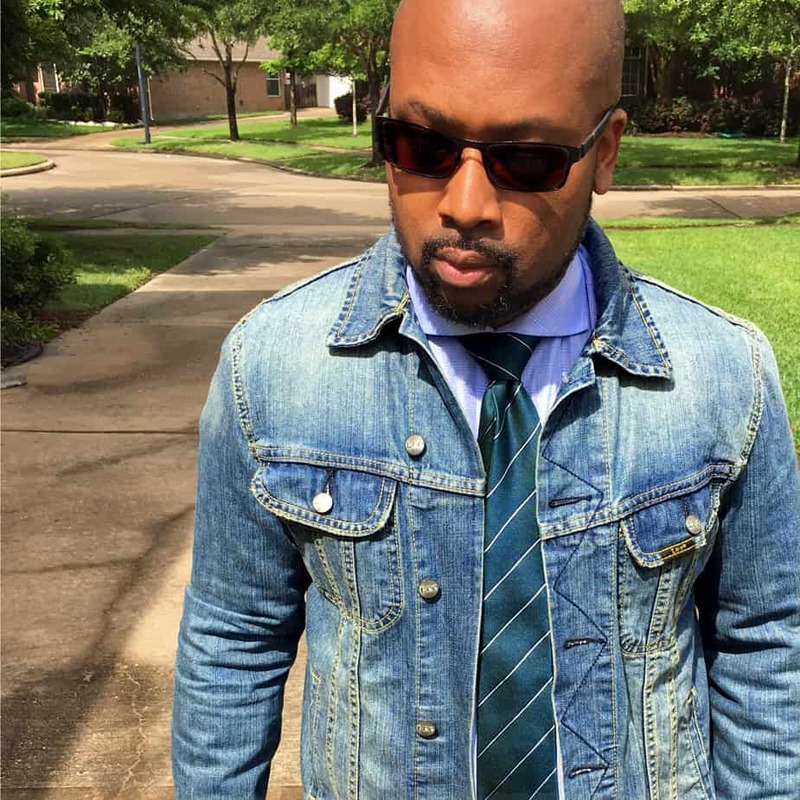 To make this tie work for date night, I throw on a light colored denim jacket. The jacket gives the outfit a more casual look without detracting from your overall appearance. The second outfit works well for weekends. 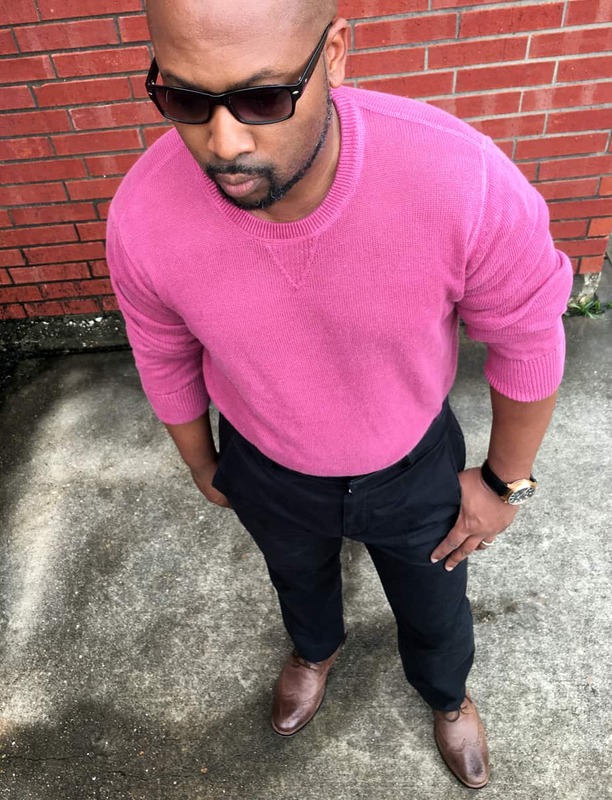 I paired a Banana Republic Linen Crew Pullover with Aiden Slim-Fit Chinos. The look is simple, modern, and versatile. Whether you’re going to an outdoor concert, movie, or crawfish boil, you will be the best looking man in the room with this combination. I’m especially fond of the linen pullover. This garment is made from finely crafted Italian linen. The yarn is spun from flax for a soft feel that only gets better with time. Linen is a great material to wear in warmer climates because of its ability to remain cool and fresh. I love the color. It is bright, vibrant, and perfect for spring. These looks are simple and will work for almost any occasion. 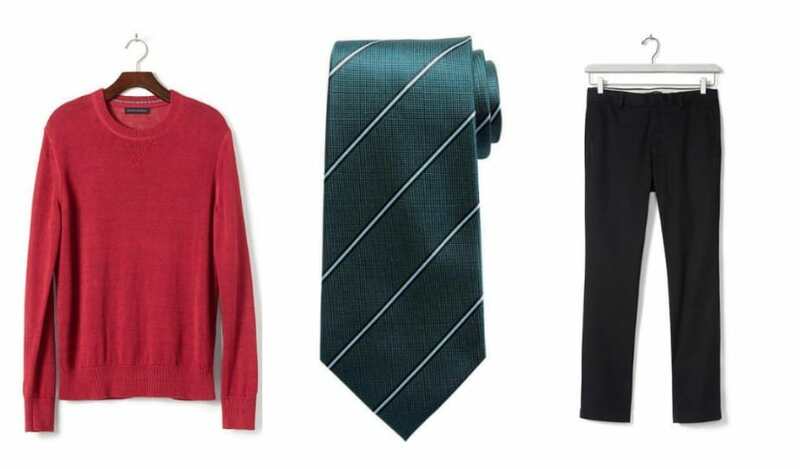 Try them on your next date night or visit BananaRepublic.com to create your own look.